We can send robots to Mars. But can we just get along? During many of my interpretive sign projects I have traveled to project sites to research my topics and meet with my clients. Many of these places are located off the beaten path…close to nature reserves, parks and wilderness areas. It’s one of my favorite things about my business…I get to meet new people and visit spectacular places. Most of my interpretive work focuses on nature itself—plants, animals, habitat, geology, or geography. But, sometimes there is a call to interpret people, too. The people who live closest to the land have a story that’s worth telling. A watercolor illustration I did for my Hells Canyon Project, a series of nine interpretive panels. I interviewed several local ranching families and learned fascinating things about their lives and traditions that sometimes went back for generations. 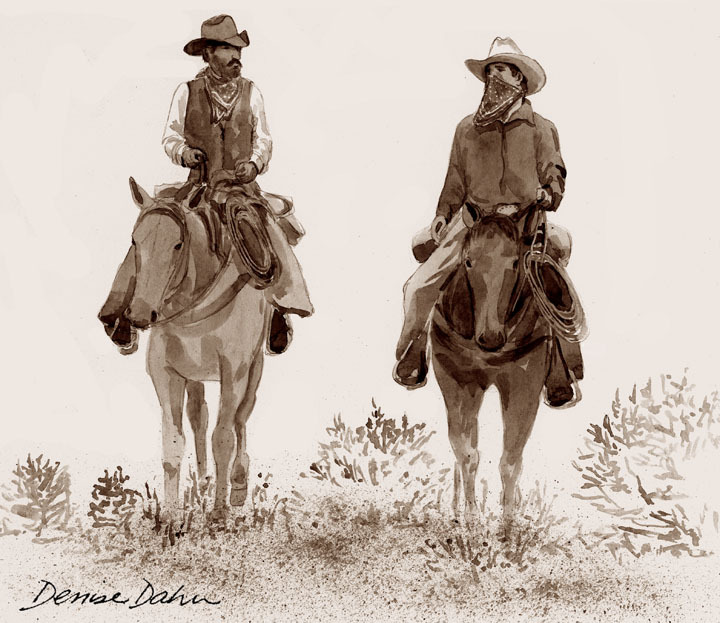 Some told stories of driving cattle up and down the steep sides of the canyon every year, others about the long months of isolation while herding sheep high in the mountains. This is a detail watercolor illustration from my Nevada Wildlife Project, a huge series of interpretive signs I did over several years. I researched a bit about the local ranching history of the Mason Valley, a site that is now a Wildlife Management Area. In the mid-1800s pioneer wagons passed through on their way west, and a hearty few stayed in the valley to raise cattle. The fact is, we need each other. In order to make progress on big issues like climate change, sustainability, or biodiversity, we need everyone to be on board. We have much more in common than not…mostly the fact that nobody wants a future devoid of wild nature (or wild-ish, at least). Call me a dreamer, but we’re all in this together…we should be able to find common ground. Like any interpersonal relationship, it starts with simple mutual respect. 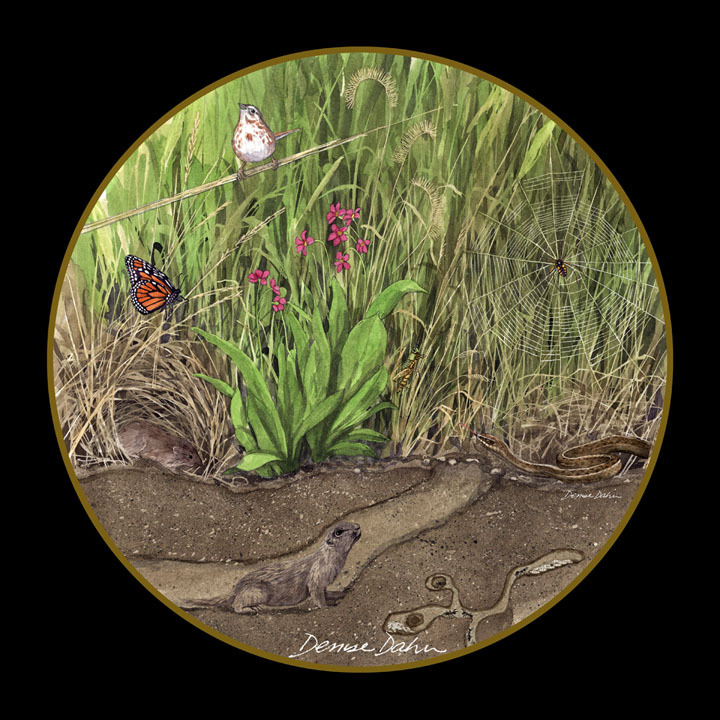 A watercolor illustration I did for my Nevada Wildlife Project showing a few of the many species that inhabit the local grasslands. I used this illustration on a sign located at the Oxbow Nature Center in Reno. What do you think? Leave a comment in the reply box with your thoughts! *What common ground am I talking about? Okay, that’s only three…there are others. Do you know of any to add to the list?